The error message is important because it also tells the reason for failing the console to start. Checking the event viewer shows lot of other errors that are logged. Closing the SCOM console and launching it back brings up the same error again. Along with the error message, we also find a lengthy code under additional information. I never understood anything further beyond first line. If you look at other forum threads, it is suggested to check whether SCOM Center Data Access service is running or not. If it is not running, start it manually. In addition to that, check if required ports are open on firewall. Here is an article on SCOM firewall ports. The last step is to check event viewer logs for any errors. In my case the System Center Data Access service is configured to start up automatically on SCOM server. Changing it to manually and restarting the service didn’t help. As I am running SCOM in my lab, I have turned off the firewall on VM, so it shouldn’t block any ports. Event 7031 tells us the SCOM data access service terminated unexpectedly. 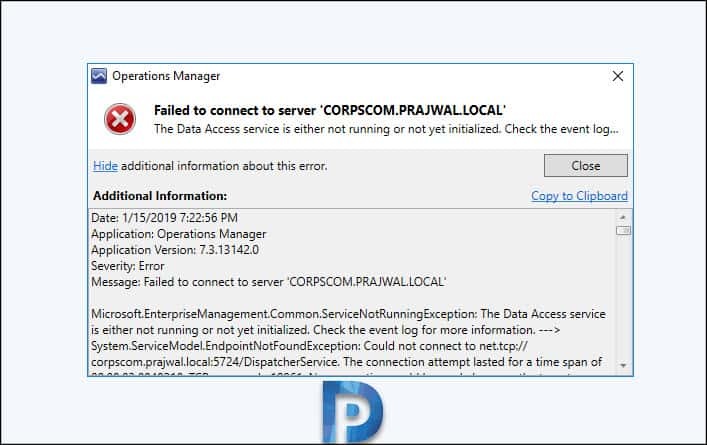 Thought it says corrective action “restart the service” will be taken in 60000 ms, i don’t think the service is restarted. 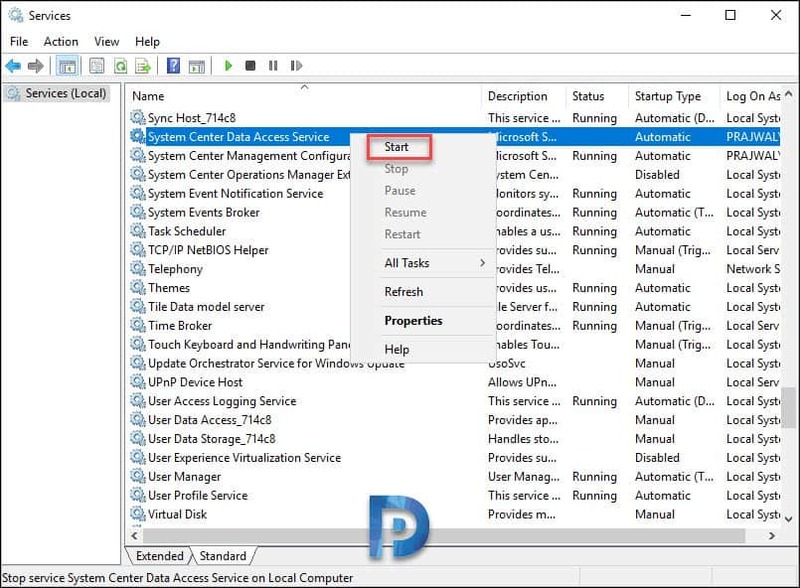 The solution here is to go to services console on SCOM server and start System Center Data Access Service. 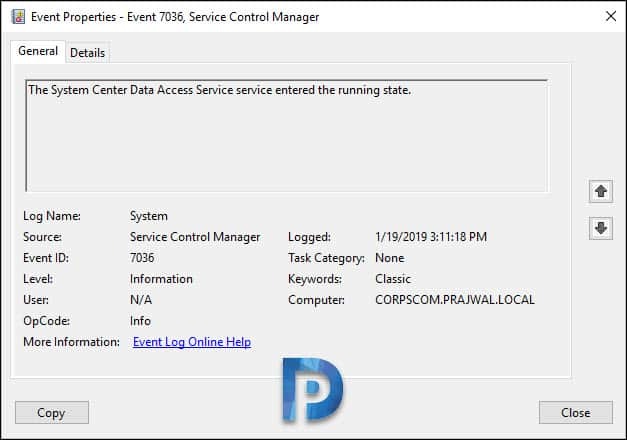 Go to event viewer and now look for Event 7036. The System Center Data Access service entered the running state. Now launch the SCOM console and you will not find the start up error. So far I have been restarting this service whenever I encounter the error.